There's no reason taking a shot shouldn't be chic. You know how some of the most boring places you'll find yourself having hanging around are also some of the places in which it's the least appropriate to pull out a flask and start drinking? These stealthy flask accessories are the perfect solution. Rather the standard hip flask or an all-too-obvious paper sack, you don't have to sacrifice your fashion sense just to sneak in a quick shot. Okay, so they're not actually that sneaky, and they definitely won't make drinking in a meeting appropriate. They're mostly just super fun. Remember that time on The Mindy Project, when Mindy showed up at the Christmas party with a bra full of wine? Well that's a real thing. The WineRack can hold 25 oz. of wine (about 5 drinks). But it does mean skipping that strapless look. If you're more of the tie persuasion than the bra persuasion, there's always the flask tie. Coming in a variety of colors and patterns, the flask tie may just be the single most inconspicuous way to hide 8 ounces of liquor in plain sight. Yep—it's a purse with a secret insulated compartment for 1.5 liters (about 51 oz.) of drinks. That's as many as 34 shots, so you can literally bring the party with you anywhere you go. (You do, however, need to buy the beverage pouches separately.) Plus, even when full, the purse still has room for the things you normally need to carry with you. If you want to go all-out James Bond—actually, it's more like Totally Spies!—you can buy any of these platform sandals with a secret compartment in the heels big enough to store a collapsible flask in each of them. There's also the more masculine Reef flip-flop flask option. 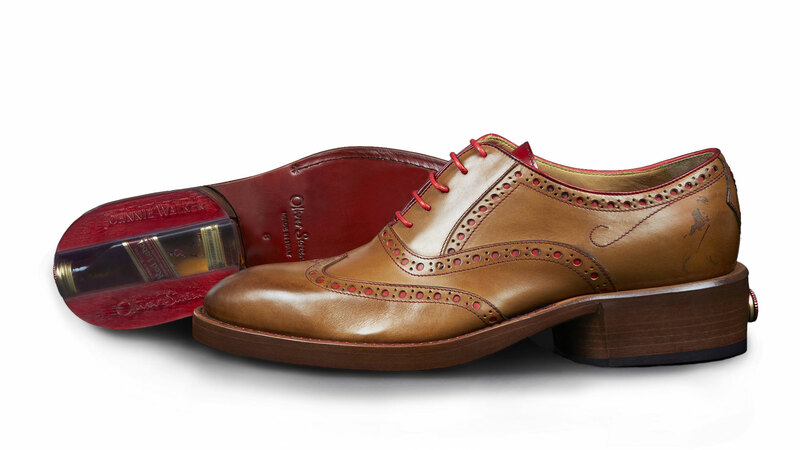 Similarly, Oliver Sweeney created a limited edition pair of brogues (sadly unavailable now) for Johnnie Walker, which concealed an airplane-sized bottle of booze in the heel. Once cooler weather hits, or you're simply headed to a known drafty location, you'll have every excuse to wear this scarf that's concealing, you guessed it, another bladder you can fill with the beverage of your choice. Okay, so these flasks are neither as subtle as some of the other wearable flasks nor as capacious—they hold one shot each—but they're a great way to wear your booze with pride. They basically say, "Hey, world, I'm ready to get tipsy." 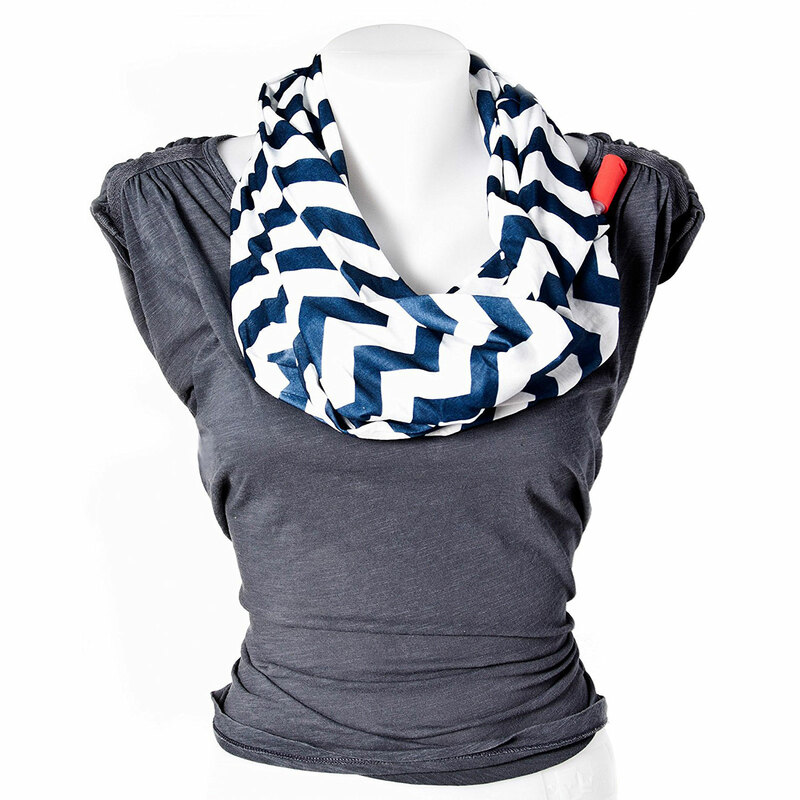 Unlike shoes, bras, or purses, you can also wear as many bracelet flasks as you want.